I bet you'll get plenty of replies on your last post about translating "John Doe" to different languages. Sadly no. But M. Yahas did tell me in detail about the Hebrew version, and I did a little additional research. This other relative declines to marry Ruth. He is not named, and is referred to in the Hebrew version as Ploni Almoni, translated here as “such a one”. This article in The Jewish Chronicle discusses the possible etymology of these words, glossing “ploni” as akin to “covered” or “hidden” and “almoni” as akin to “silenced” or “muted”. The mission is secret, so David does not reveal the meeting place to Ahimelek. Instead, he refers to it as Ploni Almoni. There is a similar usage at 2 Kings 6:8. A wealthy American businessman was buying up chunks of real estate in Tel Aviv. He purchased the two alleyways with the intention of naming them after himself and his wife, even going so far as to put up temporary shingles with the streets’ new names. But he had christened the streets without official permission from the city council. 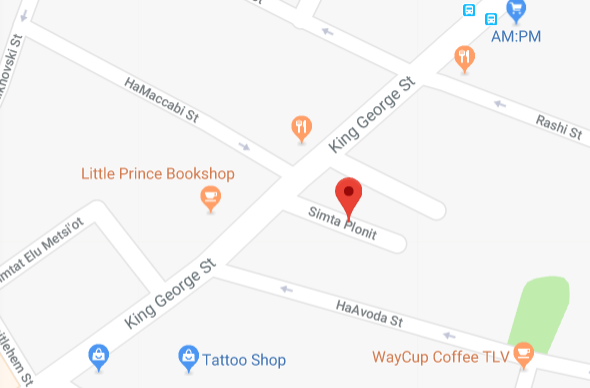 The mayor was so incensed by the businessman’s chutzpah that he decided to temporarily name the alleyways Simta Almonit and Simta Plonit. And so they remain, 95 years later. 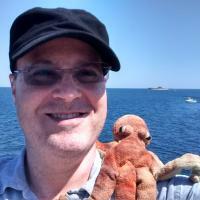 List of placeholder names by language discusses not only Ploni Almoni and the yellow-booted Mehmet Ağa, but many others as well and related matters, for example the Latin word res (“thing”, “matter”, or “affair”). Oddly, the precursor of the featureless English word “thing” was much more specific, and in Icelandic and other northern Germanic languages it has retained some of this specificity. Placeholder name mainly concerns English, but more generally than just unspecified persons. For example, “widget” as a placeholder for an unspecified manufactured article. Indefinite and fictitious numbers such as “umpteen” and “zillions”, which I have discussed here before. Multiple-use name. For example, “Alan Smithee”. Another Hebrew version, this one more analogous to “John Smith”, is Israel Israeli. Note that the “Roe” of the famous 1973 Roe v. Wade Supreme Court case refers to “Jane Roe”, a variation on “Jane Doe”. Roe's actual name was McCovey. My own tiny contribution in this area: my in-laws live in a rather distant and undeveloped neighborhood on the periphery of Seoul, and I once referred to it as 아무데도동 (/amudedo-dong/), approximately “nowhereville”. This is not standard in Korean, but I believe the meaning is clear.